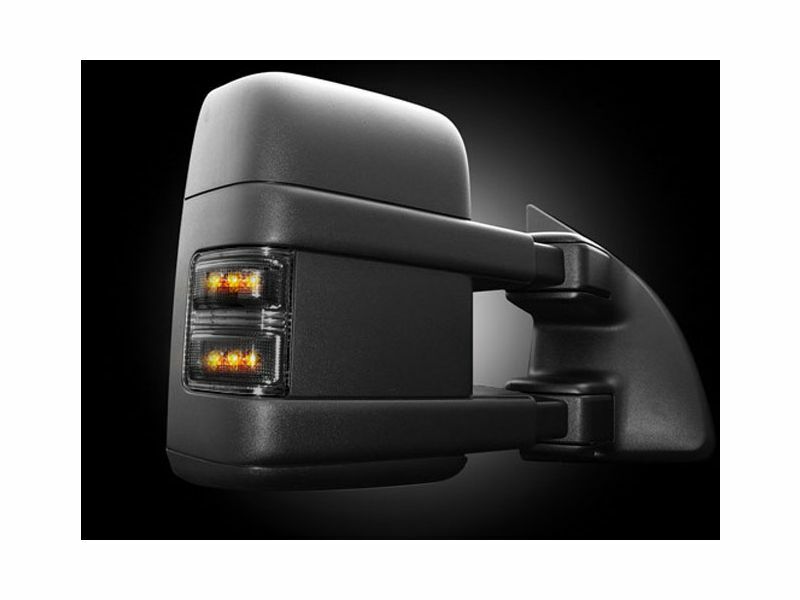 Add a little LED spark to your Ford SuperDuty with a set of Recon LED side mirror lenses. LED lights are always a sign of fashion on your new truck and Recon outperforms other manufacturers. Recon LED side mirror lenses come as a complete kit for both drivers and passenger sides and includes amber LED's. The lenses are available in the standard clear lens or a stealthy smoke lens. The amber LED's are super bright making you more visible to other drivers improving your vehicle's overall safety. The LED's function as running, parking and turn signal lights providing the same functionality as the OEM lenses. Recon's replacement side mirror lenses are a simple plug and play application getting you back on the road within a few minutes. Upgrade your Ford's lighting today with Recon LED side mirror lenses and let your truck be as cool as you! All Recon items are warranted by the manufacturer for a period of 90 days after the purchase date. All warranty claims must be accompanied by a proof of purchase. This product offers an easy, at home no drill installation. The installation manual is clear cut and easy to read. For additional information, please see the installation manual below. You may also call us toll free at 1-866-309-1907 or 701-253-5906.